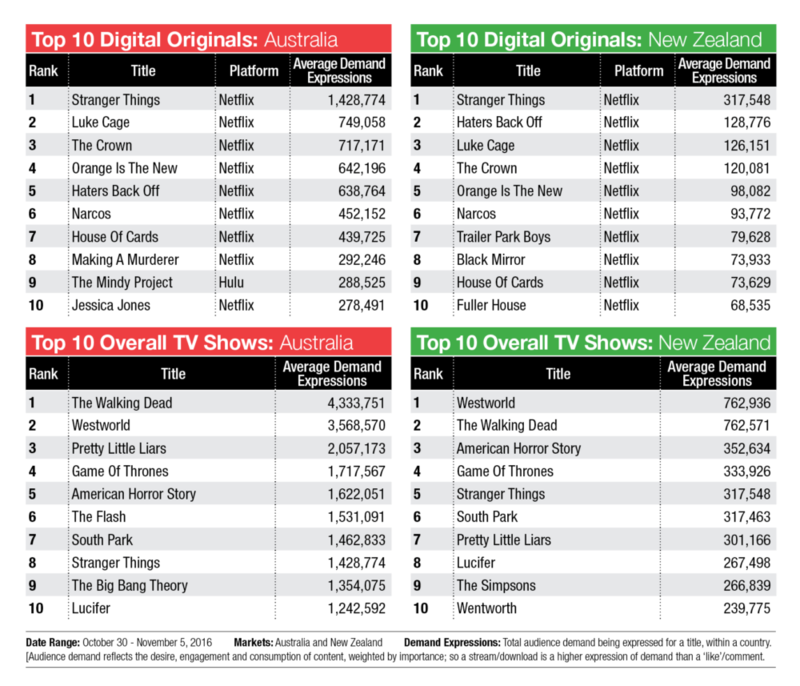 The total audience demand charts for TV content as measured by Parrot Analytics for Australia and New Zealand show that Stranger Things continues to top the Digital Originals charts for both Australia and New Zealand. 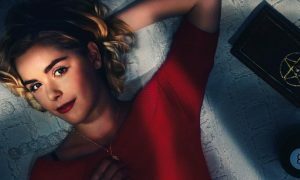 The latest charts are for the week of October 30 to November 5, 2016. 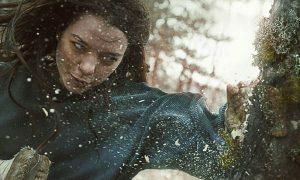 The second choice for the Australian audience is Luke Cage while in New Zealand viewers are keener to see Haters Back Off. When it comes to Overall TV Shows, The Walking Dead and Westworld top the Australian chart. In New Zealand those shows are flipped with Westworld #1. For more information about Parrot Analytics and how they measure the global demand for TV content read the recent Mediaweek feature here.